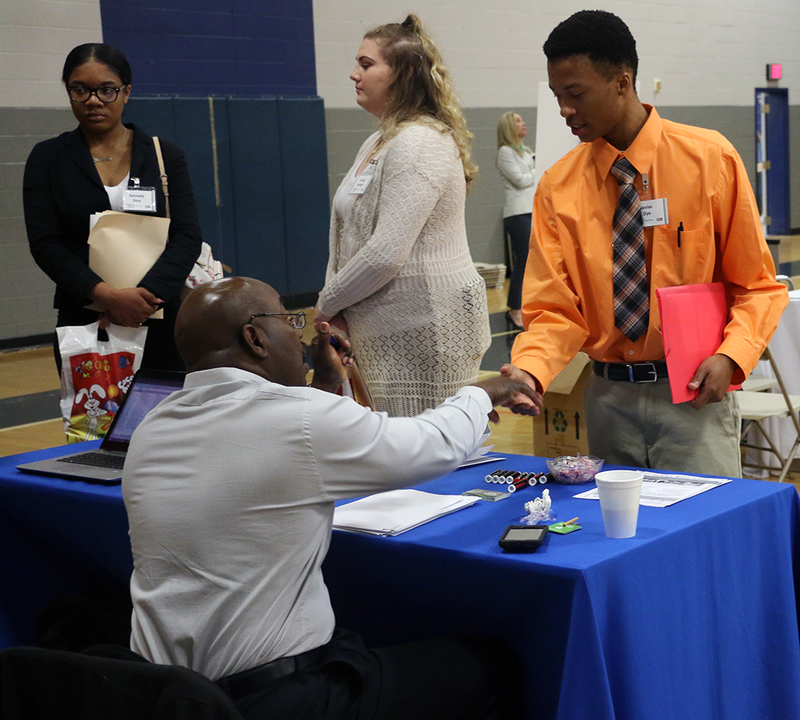 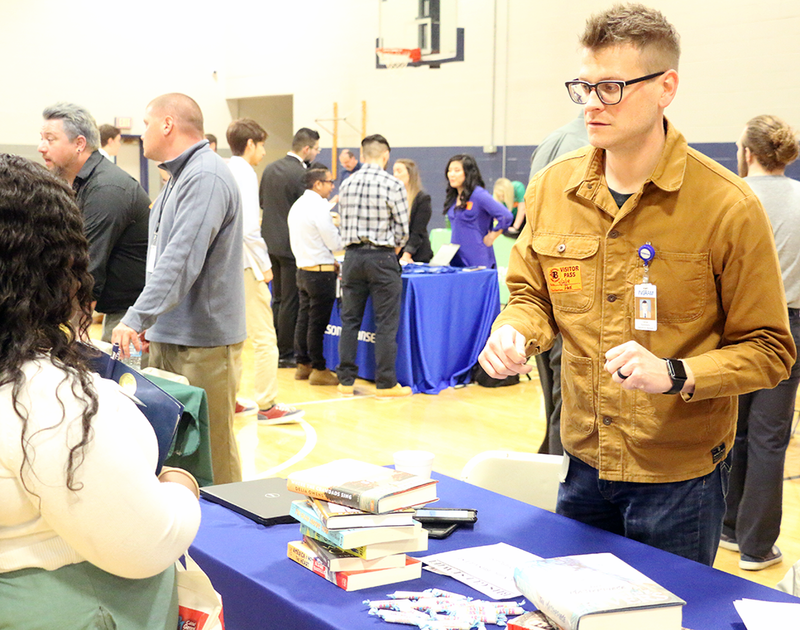 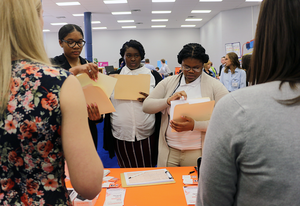 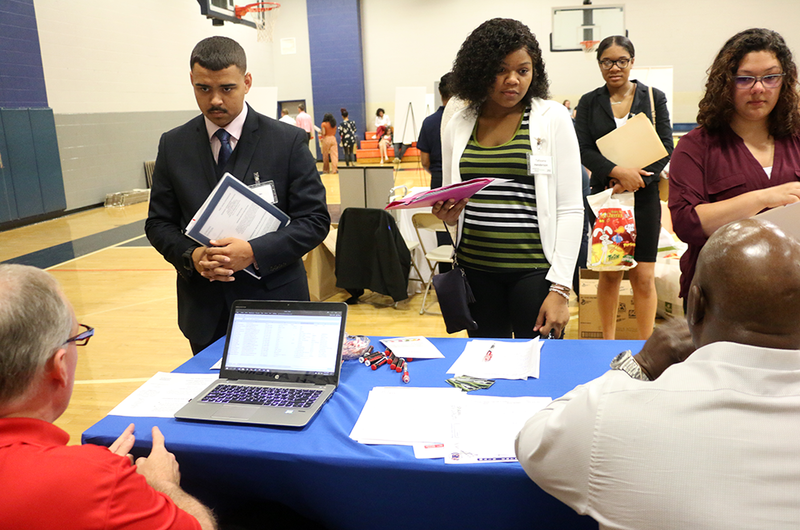 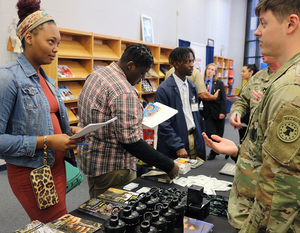 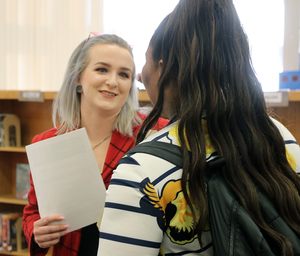 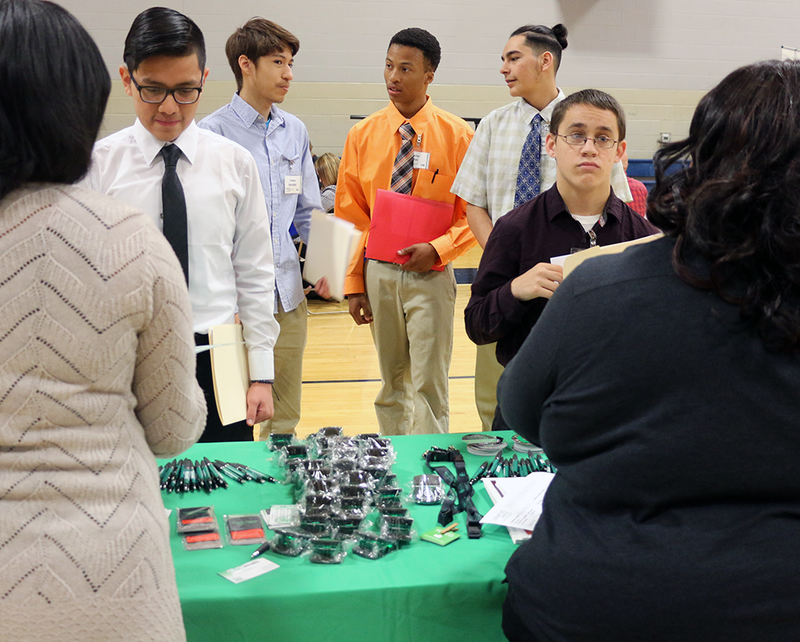 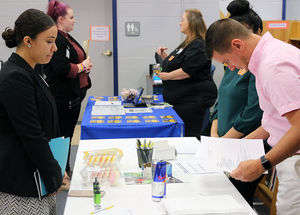 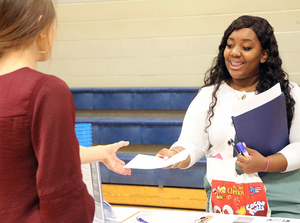 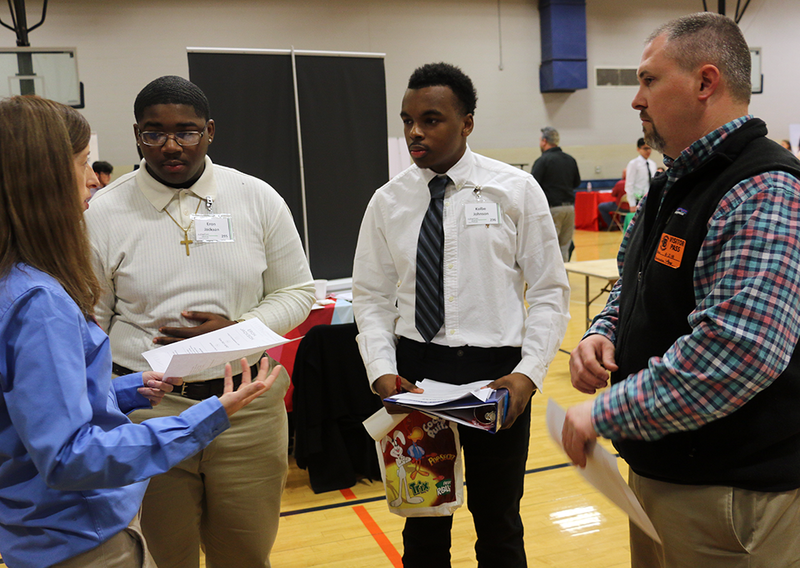 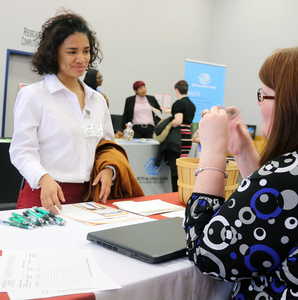 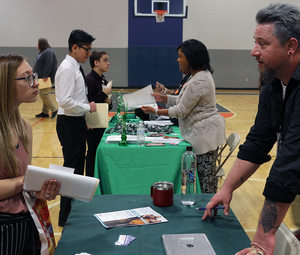 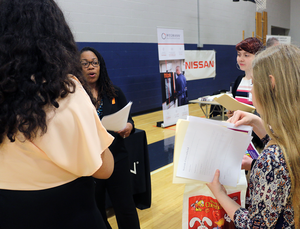 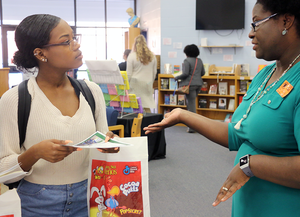 More than 300 students from a dozen Rutherford County Schools met with 55 employers at this year’s Senior Hiring Event organized by the Rutherford County Chamber of Commerce. Participating employers included 14 manufacturers along with 14 hospitality and retail outs. 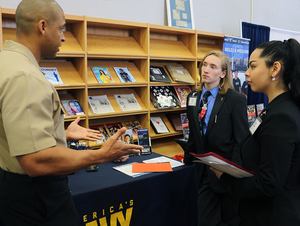 The remaining 27 employers represented supply chain (8), healthcare (8), construction (6), military (3) and childcare (2) opportunities. 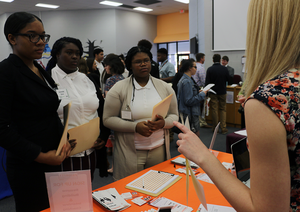 Blackman and Riverdale high schools both had 66 students participate, while two of the district’s alternative schools — Daniel McKee and Smyrna West — each had a pair of students participate in the event. Doss was one of 20 upcoming Holloway graduates who attended the event. 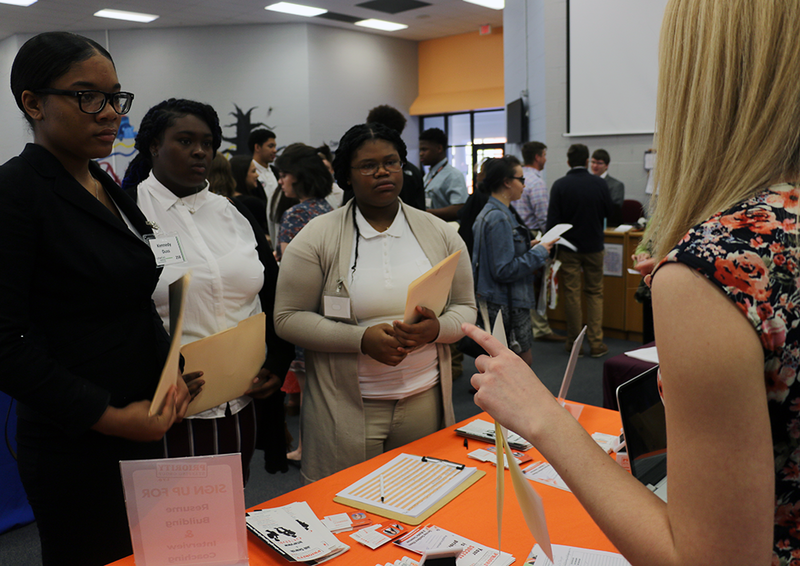 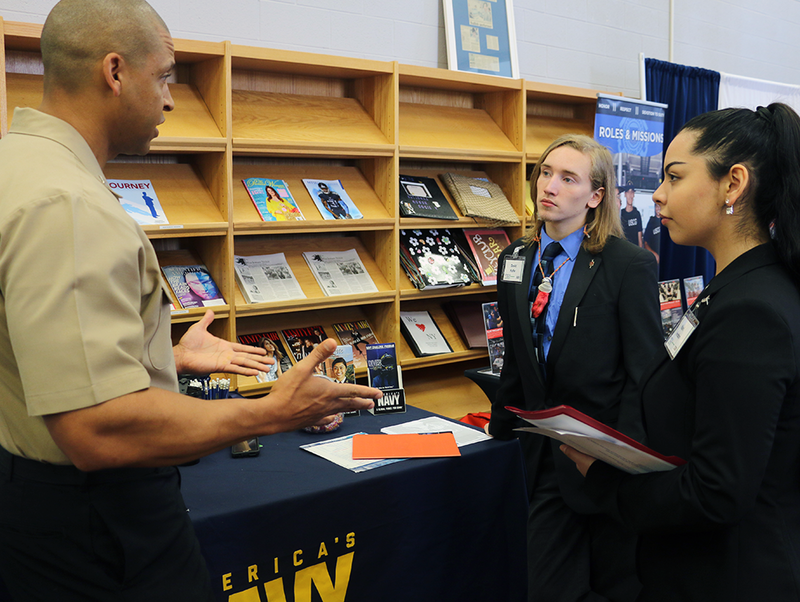 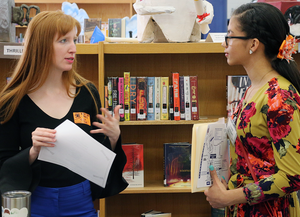 All 335 students took part in workshops prior to Tuesday’s senior hiring event at Blackman High School. The workshops covered interviewing skills and helped students create a resume as well as covered the importance of dressing for success.